“Discovery Award” winners Team Alpha United and their instructor. From left to right: Benjamin Sipe, Mohamed Abdi, Khom Redlinger, Dr. Firasat Khan (instructor), David Bowles, and Dahir Mohamed. Photo by Scott Lindell. They went the extra mile and discovered a trend. 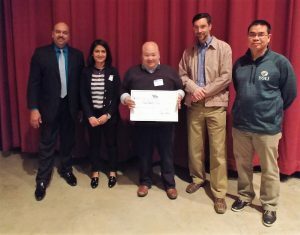 On Saturday, Nov. 4, five students from Professor Firasat Khan’s MIS 380, Business Intelligence and Analytics class represented Metro State at the MinneMUDAC 2017 Fall Student Challenge. 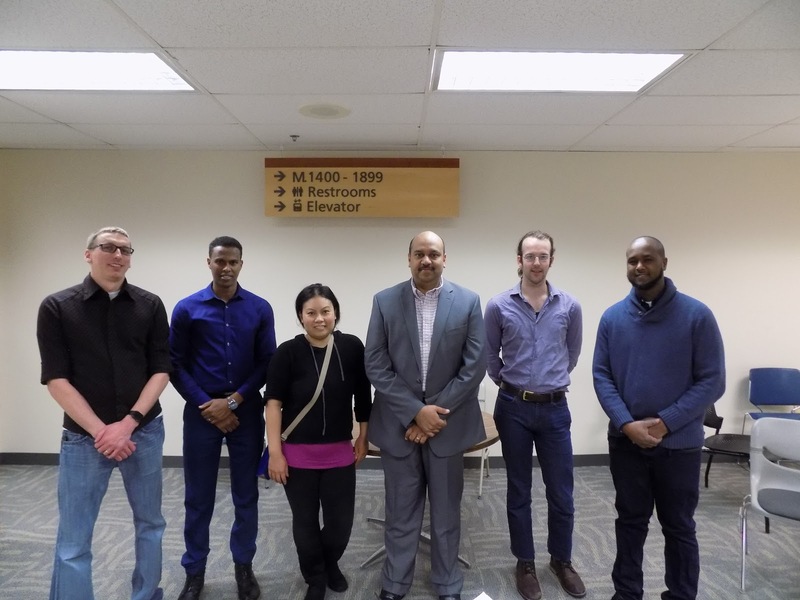 Mohamed Abdi, David Bowles, Dahir Mohamed, Khom Redlinger, and Benjamin Sipe—competing as ‘Team Alpha United’ —earned the “Discovery Award” in their first data analytics competition. A month before the competition, the team received a real-world healthcare data set for a real-world problem. Alpha United’s mission? “Finding insight from garbled numbers,” said team member Benjamin Sipe. At first, the group focused on the assigned task of finding 6,000 patients from the data set who are most likely to develop Type 2 diabetes. A preventative care program could help decrease healthcare and pharmacy claims, and assist the patients in living healthier lives. But as the group worked with the huge data set, they came up with the idea to compare it to an external data set from the Centers for Disease Control and Prevention (CDC). “They discovered something unexpected in the data by trying new things,” said Professor Khan. By comparing the two data sets, they noticed their trend did not align with the one from the CDC. The judges recognized Team Alpha United’s initiative with the Discovery Award. “Other schools did not use outside sources,” said Sipe. MinneMUDAC took place at the Eden Prairie headquarters of Optum, a health services company. Colleges from across Minnesota entered the competition, including eight teams from Metro State. Team Alpha United competed in the novice division. Mohamed Abdi enjoyed the process of “finding the result and seeing the outcome.” Bowles liked the “predictive guesswork” they applied to their project. Sipe said the team did much more than just speak and sit down. During their presentation, the judges asked several tough questions and they had to think fast to answer them. 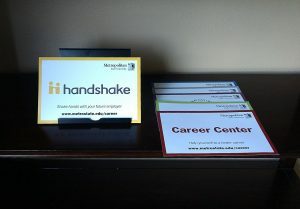 Most of all, the students valued the real-world element of their MinneMUDAC experience. Inspired by the success of Metro State students in data analytic competitions, Professor Khan wants students to have more opportunities to participate in these events in the future. This semester he started the Metro Analytics Club, a data science and business analytics student organization, to do just that. The new club already has 15 members. Although the student organization is a supplement to academic work, Khan would like students to “treat it as a hobby.” He believes the club will foster intrinsic motivation and help students grow a passion for their coursework. It gets students thinking about the discipline rather than studying for a grade. Clubs improve student engagement, said Khan. The Metro Analytics Club will provide experiential learning opportunities and a hands-on approach. Members will learn several tools of the trade including data mining, machine learning, predictive modeling, spreadsheets and visualization methods. “A nice mix of business and computing expertise applied to analytic challenges,” said Khan. The club meets monthly to discuss the latest trends in data analytics or hear from guest speakers. Members will also participate in Data Derby Minnesota, hackathons, MinneMUDAC and MUDAC. Professors Simon Jin (MIS), David Jacobson (Mathematics) and Ismail Hassan (ICS) have recently joined Dr. Khan as co-advisors for the club. In the next five years, Khan sees analytics becoming “more of a mainstay as a career.” Many businesses and organizations have data and they don’t know what to do with it. When they use that data, they become better at observing customer needs and fulfilling them in an individualized matter, he said. Club member David Bowles looks forward to the club’s community service projects. “Seldom is there a chance for data science in the community,” he said. Bowles is eager to help small businesses and nonprofits use insights from data to improve their organization’s results. The Metro Analytics Club is seeking new members. 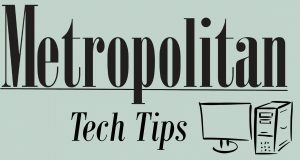 If you are interested in joining, email Dr. Firasat Khan at firasat.khan@metrostate.edu with the subject line “Metro Analytics Club.” To become a member, you must have registered as a Metro State student in the last three terms. Majors from MIS, ICS, mathematics, statistics or any relevant program are encouraged to join.